It is my pleasure to welcome you to the Special Education Department. 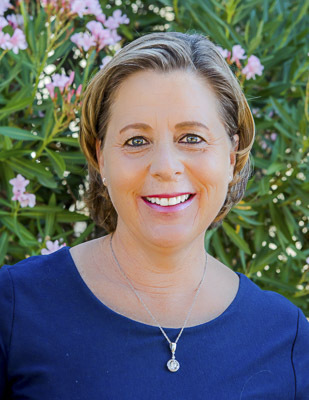 I have enjoyed serving in the Ojai Unified School District for the past 20 years in many positions, including special education teacher, Program Specialist, and most currently, Director of Special Education. It is an honor to be working together with you to make a positive impact on the lives of our students, both now and in the future. OUSD believes that parents are our partners throughout the entire special education process. We have a fantastic team of dedicated professionals working to support your child in achieving his or her goals, including highly qualified Special Education Teachers, School Psychologists, Speech-Language Therapists, Occupational Therapists, Adaptive Physical Education Specialists, Behavior Interventionists, and Instructional Assistants. As a team, we will work with you to provide a full range of services in the Least Restrictive Environment (LRE), the instructional setting that is most similar to the instructional setting attended by general education students. Our Special Education programs span the continuum from full inclusion in the general education environment with accommodations, to separate special education programs addressing more significant needs. Together, we will develop an Individualized Education Plan (IEP) to meet the needs of your child. Our Special Education Staff is committed to providing specialized academic instruction and behavioral support and services to students with exceptional needs in order to fully engage them in high-quality learning environments that challenge and prepare them to be well-rounded, active members of a global society. We are committed to identifying and meeting the diverse needs of each student through individualized educational programming. It is our mission to work cooperatively with families, students, community, colleagues, and other professionals in order to promote each student's success and well-being as he/she prepares for future endeavors.